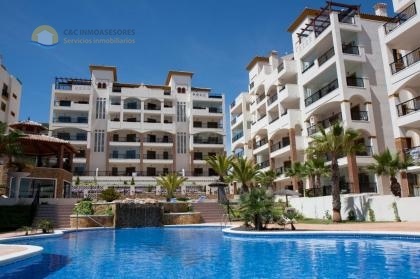 Lovely 2 bedroom 1 bathroom apartment available for long term rent and also holidays. 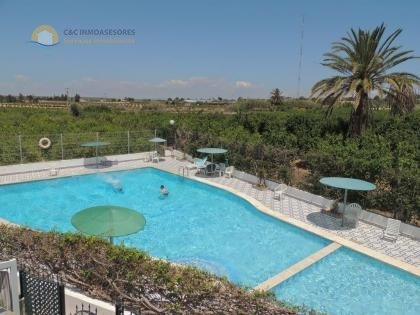 This apartment is located in the coastal village Guardamar del Segura. Actually the location is quite central, less than 2 minutes walk from the supermarket, 5 minute walk to the city center and there are a few restaurants and bars in the direct area. The apartment is fully furnished and has many extras such as : Air conditioning, new Central heating system (main gas), new television, Fibre internet (optional), SAT TV, washing machine, dishwasher, oven, fridge, walk in shower. Storage room 10m2, private parking behind a gate, communal pool, communal roof terrace. For example 1 or 2 months prices are on request. Short term rentals during the off season from € 250 a week. July and August per 2 weeks € 1200 all inclusive. Long term rental only for 5 months or more. Pets are not allowed. Smoking is only allowed outside.